Discussion: How Can An Established Business Collaborate With Its Innovation Engine? Added on November 21, 2016 by Strategyzer. 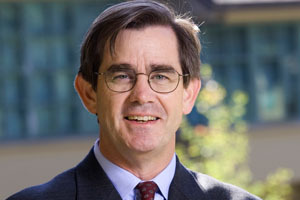 In this StratChat episode, renowned professor and author Henry Chesbrough discusses the importance of collaboration between the existing business and its innovation engine. Listen to how both parts of the business can work together, instead of in conflict with each other. Why it's important for the existing business to collaborate with its innovation engine. Examples of companies that get collaboration right or wrong. Changes to the organizational structure so innovation can be collaborative. How open innovation can facilitate good business model innovation. Chesbrough's 3rd annual World Open Innovation Conference takes place this December in Spain. Get your ticket and learn from great global innovators.